I am a professional bass player and have been teaching privately since 2004. I studied at the prestigious Academy Of Contemporary Music in Guildford for two years and have studied under many great musicians, including Jeff Berlin. I have a wealth of live experience, including European and Asian tours and festivals. I also perform in many kinds of venues and situations, from quiet jazz to overblown metal. I also have a large amount of studio experience, performing and co-producing CDs released internationally through Sony Records and Relapse. I work with rock, metal and jazz bands playing and composing original music, as well as performing classic and modern songs at weddings and parties. On top of this, I also regularly play in the orchestras for musical theatre. This variety allows me to be constantly performing a vast contrast of different styles of music and gives me a large amount of versatility, which I can draw upon to teach my students whatever they want to know. I have been teaching privately since 2004. I now teach privately and I am CRB checked. Because I started playing in my mid-teens I can relate to a learning student, because I remember the process myself. I teach many musical subjects to students including theory, reading of sheet music and tab, ear training, transcribing, composition, chords, scales, harmonisation and many other necessary topics. 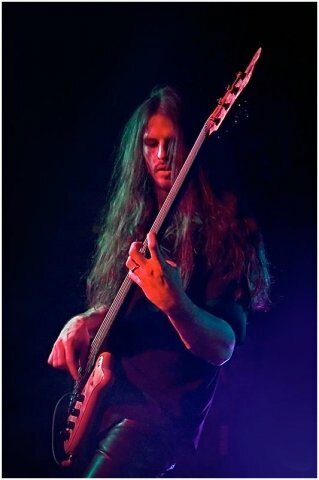 I can also teach all electric bass techniques including (and not limited to) finger plucking, playing with a pick, slapping, tapping, harmonics, 3, 4 and 5 finger plucking hand techniques, the use of extended range 5 and 6-string basses, fretless bass, alternate tunings and improvisation.